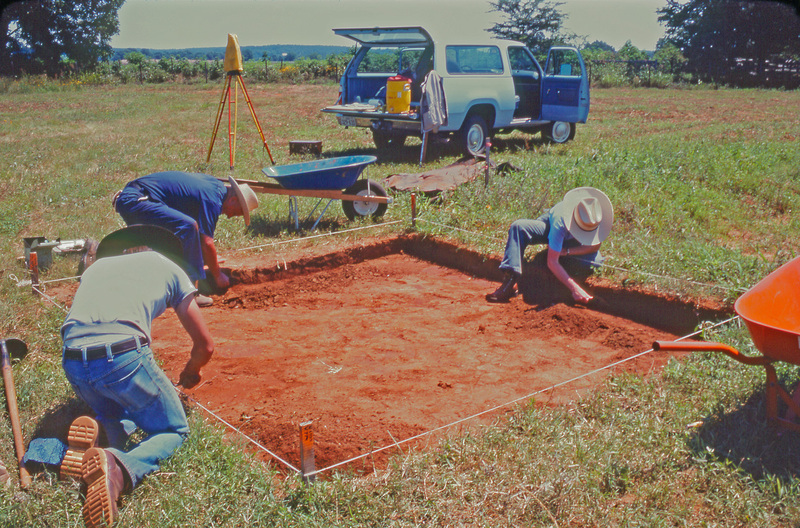 Archaeological excavation at the George C. Davis site in Texas. As archaeologists, many of us tend to assume that others understand the intrinsic value of archaeological sites, and that in general, people want to protect archaeological resources. At the same time, we know there are many sites out there getting looted each day as well as a thriving market in antiquities. In this essay, we take a brief look at the ethics behind preserving archaeological sites, the difference between scientific excavation and looting, and how to talk to non-archaeologists about cultural heritage management. One important reason to preserve and document archaeological sites is that, in some cases, it’s the law. In Texas, laws prohibit excavation on state land without a permit. Federal land has several statutes that apply to cultural resources including the disturbance of human remains. Read more about laws that protect sites in Texas. What about sites not protected by state and federal laws? Sites on private property in Texas can, legally speaking, be excavated by anyone at the discretion of the landowner. So why not dig them up? Isn’t that what archaeologists do? It sounds disingenuous, but as archaeologists, we actually want to do as little archaeology as possible. We know that without our intervention, some sites are very vulnerable and can be destroyed either through construction, natural disasters such as floods, or natural processes like erosion. Because archaeological materials are a non-renewable resource (we can’t go back in time to make more sites), we absolutely want to document any sites in danger of being destroyed. Other than those sites in immediate danger, though, archaeologists typically only want to dig at sites that have a strong potential to answer research questions rooted in anthropological theory and fill in the gaps in our understanding of the past. Beyond that, we want sites to be left alone. Doing a scientific excavation is costly, time-consuming, and destructive to the site. Responsible archaeologists are keenly aware of the fact that their work does irreparable damage to the site and that they only have one shot to get it right. They also know that, with new analytical techniques being developed at a rapid pace, future researchers may be able to learn much more about the same site–but only if there’s still something left to excavate. For these reasons, modern archaeologists typically try to do as little excavation as is possible to answer their research questions, and they collect as much data as possible from these minimally intrusive excavations. Non-scientific excavators–looters–do the opposite of this. To a trained archaeologist, an archaeological site is much more than the artifacts that come out of the ground. Often we are less interested in the potsherds or arrowheads and more interested in the chemistry of the soil, the sequence of construction, or the relationship of one object to another within the excavation. Removing artifacts from their context or digging with the sole purpose of recovering artifacts to collect or sell destroys all of this valuable information forever. Once an artifact is removed from its archaeological context, its value to archaeological researchers is greatly reduced. While we all love looking at a beautiful artifact, there is much less information to be gained from an item out of context than one recovered with accurate provenience data. This idea seems straightforward, so why is there a persistent trend for folks to focus on the beauty of a few objects and ignore the site and context? We could blame everyone’s favorite pop-culture archaeologist, who destroys entire temples to steal a single artifact. Or we could look at how we communicate. To an archaeologist, it can be disheartening to watch someone’s eyes glaze over when you start to talk about phytoliths or microwear, only to see them perk up at the mention of ancient aliens. The public fascination with sensationalized archaeological ideas comes out of both a long history of sensational archaeology and the way archaeology is taught to the general public. Even up to the mid-twentieth century, archaeology was full of self-aggrandizing explorers on quests to find Atlantis or Mu, and early excavations were often massive, rushed, and focused on finding the most magnificent artifacts. Ever since Schliemann had his wife model the jewels of Troy, the public has had the perception of archaeology as not too far distant from treasure hunting. We can all agree that gorgeous ceramics, painted sarcophagi, and intricate weapons are just more captivating to look at than dirt and debitage. Museums, as wonderful as they are, sometimes unintentionally contribute to this paradigm. Although the intent of most archaeology museums is to provide education, they are typically able to do this only through displaying artifacts–you just can’t move an archaeological site into a museum! The best museums provide lots of contextual information, which allows visitors to appreciate the artifacts for much more than their artistic value. When people only have access to archaeology through museums, it is no wonder they focus on the artifacts rather than the sites themselves. Learn about Barcelona City History Museum–an archaeology museum with only a handful of artifacts on display. It’s up to archaeologists to meet the public where they are and acknowledge our sensational past. As much as we want to roll our eyes at archaeological conspiracy theories or shoeboxes full of arrowheads, being dismissive even of misguided archaeological interests is counterproductive. We can channel folks’ enthusiasm into productive discussions about preservation, but only by first acknowledging that these artifacts and ideas are, in fact, really neat and fun to think about. We can talk about modern archaeology and resource management by sharing our passion for the “boring” aspects of archaeology–excitement, even about mundane things, can be contagious. This October for Texas Archaeology Month, archaeological sites, historical sites, and museums across Texas are opening their doors to the public, to engage in exactly this kind of dialogue. Throughout this month, archaeologists across the state will be sharing their expertise and their life’s work with students, families, and anyone who wants to learn. We invite you all to join us as we celebrate archaeology in Texas and beyond. Plan your visit to archaeological sites, talks, and events today! If you want to learn more about responsible, scientific archaeology, there are lots of ongoing opportunities to engage with the local archaeological community. Check out the Texas Archaeological Society or a local society, or contact your local university. TARL also has lots of volunteer opportunities available and we’d love to have your help. You only touch on vandalism as a threat. In Arizona that threat was considered real and there was an approach made to involve local law enforcement as shareholds in protecting rural sites. There was an uptake for several years of law enforcement reports taken and investigation initiated by the officer into cultural resource crimes. It was only though networking peace officers and archaeologist this uptake was made possible. Thank you, Brad! You’re absolutely right, and vandalism is a major threat to sites here in Texas as well. TARL and the state agencies here work closely with law enforcement to help preserve sites. It’s always worth reminding people that they should report any looting or other vandalism to park rangers, game wardens, or local police. Thanks for the information on why we should protect archaeological sites, it was very informational. I love that technology is continuing to advance and that one day we will be able to excavate without doing irreparable damage. I would think that saving sites is important for future generations and education.